Barrett’s oesophagus is when the normally pink-white lining of the oesophagus is exposed to stomach acid over time (because of reflux) and then is replaced by an acid-resistant salmon-coloured red lining, which is more like the lining of the intestine. How does Barrett’s oesophagus develop? Barrett’s oesophagus can develop in susceptible people if gastro-oesophageal reflux disease is not treated. When the acidic stomach contents are continuously refluxed onto the lining of the oesophagus, it can cause changes to the structure of the tissue. Over time, your body replaces the normal cells lining the oesophagus with cells of a different type. This new type of cell secretes mucus which makes it more resistant to the acid coming up from the stomach. The presence of these cells in the oesophagus is known as Barrett’s oesophagus or Barrett’s metaplasia. Barrett’s oesophagus has very few easily detectable symptoms and cannot be diagnosed without an endoscopic examination. 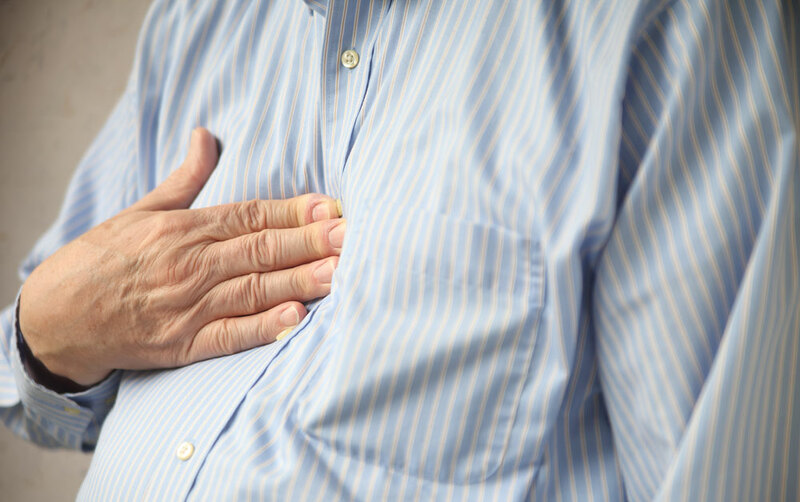 As a result, many people who have reflux may also have developed Barrett’s oesophagus but not be aware of it. If you notice any symptoms at all, they are likely to be merely those of the reflux. If your doctor believes you are at risk for Barrett’s oesophagus he or she may refer you for an endoscopy, a diagnostic procedure where a flexible lighted tube is passed down your oesophagus so it can be viewed in detail. During the procedure the lining of your oesophagus can be examined and a small piece of tissue may be removed from your oesophagus (endoscopic biopsy) for examination of the cells under a microscope. One sign the doctor will look for to confirm you have Barrett’s is the colour of the tissue lining the lower oesophagus. If you have Barrett’s it will change from its normal pink colour to a deeper salmon or orange colour. They will also take a biopsy to confirm the diagnosis and to check for abnormal, pre-cancerous cells. The development of abnormal cells is called dysplasia and in this case is the result of long-term contact with stomach acid. Barrett’s oesophagus is not a common condition; however, up to 10 per cent of people who have chronic reflux develop Barrett’s. Unfortunately, people who have Barrett’s oesophagus have an increased risk of developing oesophageal cancer. Each year, about one in 200 people with this type of Barrett's oesophagus develop oesophageal cancer. If you are diagnosed with Barrett’s it does not necessarily mean that you will develop oesophageal cancer – the great majority will not – but your doctor will need to keep a check on your condition to detect any cancer indicators. Early diagnosis and treatment of gastro-oesophageal reflux may prevent the development of Barrett’s oesophagus. If you have been diagnosed with Barrett’s, your doctor will probably recommend you take medication to reduce the amount of acid your stomach produces and have regular endoscopies to detect any early cell changes that might lead to cancer. Cancers associated with Barrett’s oesophagus which are detected early enough generally have a good cure rate and can often be treated with minimally invasive procedures. You should always discuss with your doctor if you have symptoms of heartburn or painful swallowing that persist for longer than a few days. 1. Barrettâ€™s oesophagus (revised February 2011). In: eTG complete. Melbourne: Therapeutic Guidelines Limited; 2015 Nov. http://online.tg.org.au/complete/ (accessed Sep 2015). 2. National Institute of Diabetes and Digestive and Kidney Diseases (NIDDK). Barrettâ€™s Esophagus (updated 13 Nov 2014). http://www.niddk.nih.gov/health-information/health-topics/digestive-diseases/barretts-esophagus/Pages/all-content.aspx (accessed Dec 2015). 3. Cancer Council Australia Barrett's Oesophagus Guidelines Working Party. Clinical practice guidelines for the diagnosis and management of Barrettâ€™s Oesophagus and Early Oesophageal Adenocarcinoma. Sydney: Cancer Council Australia. [Version URL: http://wiki.cancer.org.au/australiawiki/index.php?oldid=113682, cited 2015 Dec 2]. Available from: http://wiki.cancer.org.au/australia/Guidelines:Barrett%27s. Oesophageal cancer: what is it?